Crohn’s disease is a gastrointestinal (GI) complication which involves inflammation of intestine. It results in the formation of ulcers in the lining of intestine. There are several names for this disease such as ileitis, granulomatous enteritis or colitis, etc. Crohn’s disease, along with ulcerative colitis, is referred to as inflammatory bowel disease or IBD. Crohn's flare-up, Crohn's Disease Pain: What It Feels Like to Have Crohn's? Crohn’s flare-ups refer to sudden re-appearing of symptoms for people suffering from Crohn's disease. A flare-up can activate inflammation in any part of the gastrointestinal tract. 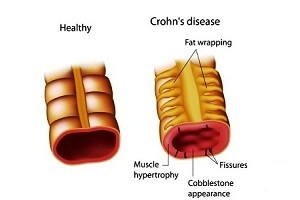 Crohn’s disease varies from person to person. Symptoms of the disease may vary depending on the part of the gut affected and the severity of the condition. Crohn’s Disease Diet: What Food Can You Eat and not Eat with Crohn's Disease? 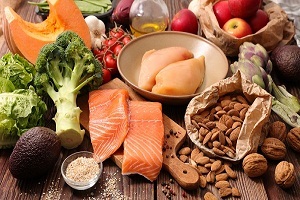 Maintaining good nutrition can be a real challenge in Crohn's disease. When your small intestine is inflamed, the nutrients are not absorbed well causing a deficiency of nutrients in the body. This imbalance in the body is called malabsorption and its degree depends on the severity of inflammation and damage in the intestine. Living with Crohn’s disease could mean that the patient has a proper understanding of the disease, its symptoms, flare-ups, treatment plans, and many more things that can help to manage the disease in an efficient way. Here are some ways that can help a person to live better with Crohn’s disease. 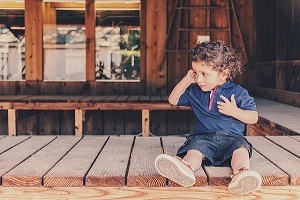 What is Crohn's Disease in Children (Pediatric Crohn's Disease)? Crohn’s disease is one of the inflammatory bowel diseases (IBD) in which one or more parts of a child’s intestinal tract become inflamed. The disease usually affects the lower part of the small intestine called ileum. Twenty percent of the cases of Crohn's disease are of children.